While generating maps is fun, as is tinkering with presets to create unique layers and structure distribution, it’s also fun to have someone else do all the hard work for you (and build some cool structures in the process). Whereas seeds and presets allow you to generate worlds with matching DNA or at least very similar settings, downloading a map allows you to download existing structures and customizations. What does that mean for you? It means even if you haven’t yet attained the mastery over Minecraft you’d like, you can enjoy the fruits of master builders and designers. Imagine if you will that you spent weeks building a huge castle atop a glorious mountain range you found while exploring an Amplified map. After all that building, you really want to share the wealth and let other players explore your castle and live in it. You can upload that map to Minecraft map sharing sites or share it on the Minecraft forums, and other players can do just that. Now multiply your effort by tens of thousands. Not only are there other Minecraft-loving individuals out there building and sharing, but there are entire teams of builders. Many of these teams collectively spend thousands of hours creating elaborate and wonderful maps! That’s the beauty of downloading a custom map. When someone shares a seed with you, they share the blueprint for the land of a map: you’ll get the same villages, ravines, rivers, and caves that they get. When someone shares a Superflat preset with you, they share the DNA of the map. You’ll get the same kinds of things they get like large villages, the same strata composition, similar levels of in-game materials, and more! Before we show you how to install a custom map, let’s highlight the major types of maps. Although many custom maps are a combination of these various categories, typically one category is the strongest influence. Creation Maps are just as they sound: maps you download to check out the Creative Mode building chops of other players. These maps exist just for the sake of being beautiful and offering those who download them a chance to explore them. It’s common to find Creation Maps that are 1:1 recreations of video game maps, famous Sci-Fi space ships, cities, and other notable things from the real world, fantasy, and Sci-Fi. Survival maps are focused on providing an interesting survival experience for the player. These maps are typically just like regular generated Minecraft maps with extra structures installed by the designer to create an experience different than simply generating a random Survival map at home. For example, the map designer might build an aircraft that has crashed onto an island along with some supply chests to simulate a plane crash survival scenario. More advanced Survival maps incorporate elements that automate elements of the game experience. Map designers use a tool known as a “command block” for example to trigger in-game events. In the aforementioned plane crash scenario, for example, a hidden command block could be used to trigger a wave of zombies attacking when the player enters a Temple in the nearby Jungle biome. Adventure/Puzzle maps take advantage of the Adventure Mode we highlighted in the past lesson about game modes. In this case the map designer has used in-game tools to design what amounts to a game-within-a-game. Adventure maps are more sophisticated than Survival Maps and include puzzles for the player to solve and obstacles that reach beyond the standard problems faced by the player in regular Survival Mode. They also typically include a backstory more advanced than “You’re stranded on an island.” If you’re looking for the challenge of surviving a haunted house or getting out of a dictator’s prison camp alive, this is the map type for you. 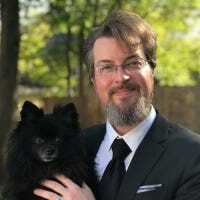 Adventure/Puzzle maps typically rely heavily on the aforementioned command blocks, redstone, and other in-game automations to create the illusion of linearity and advancement in the story. Game maps tend to veer strongly away from the core game mechanics found in Survival maps and, to a lesser degree, Adventure maps. Game maps use Minecraft and creative use of the in-game blocks and Redstone to create what amounts to mini games. Game maps often have themes like tower defense, point acquisition, racing, and even things you’d never expect in Minecraft like simulated golfing or Super Bomberman remakes. In a later lesson focused on online multiplayer, we’ll learn about entire servers devoted completely to this sort of Game map/mini-game experience. The newest genre of maps to emerge in the Minecraft community is the Parkour map. The name is derived from the real-world activity of Parkour (a martial art focused on extreme gymnastic feats and the ability to move quickly and safely through difficult urban terrain). Parkour maps are focused on pushing the limits of the player and the game physics in the process. They usually involve very challenging obstacle courses, monster rooms, and a strong sense of urgency. If you want to test your skills and see if you’re the nimble mountain goat you think you are, give a Parkour map a whirl. Let’s take a look at a Custom Map to show you how to install them. You’ll find the installation process is easy and we guarantee you’ll spend more time poring over map listings and trying to decide which one you want to try next than you will installing them! First, we need to select a map. While there are plenty of map sharing websites out there, we like Projects category at Planet Minecraft and, for its simplicity and ease of navigation, the map categories at MinecraftMaps.com. For this tutorial we’re downloading the Mountain Sky Village, a Creative Map designed by Minecraft players qwerti10 and McBreakdown from MinecraftMaps. The map pack is a simple .ZIP file. Go ahead and download it or another Creative Map that catches your eye. 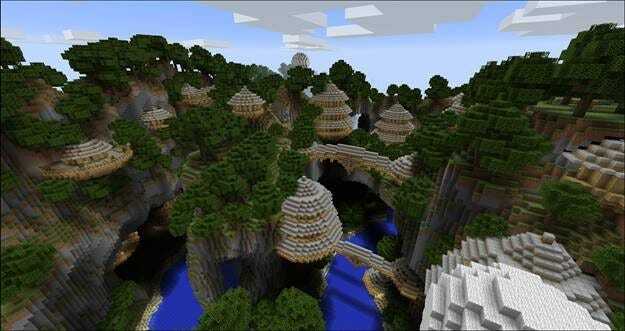 Just like with map seeds, you need to use the proper version of Minecraft for the map you want to play on. 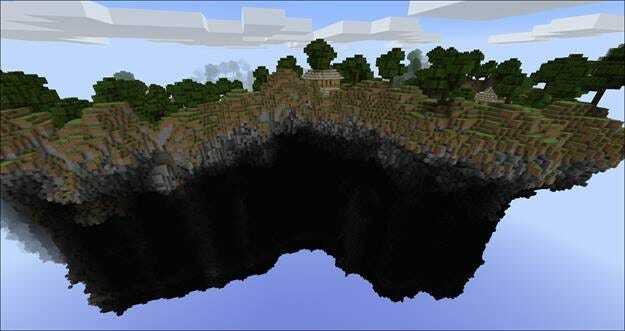 If you load a huge Adventure map created for Minecraft 1.6.4 using the Minecraft 1.7.9 engine for example, be prepared for a really lackluster experience as many of the elements the map designer includes will likely be outright broken and the terrain generator will be a completely different version. For maximum enjoyment, always read the map description and match the version the map was created in to the version you’re playing in. 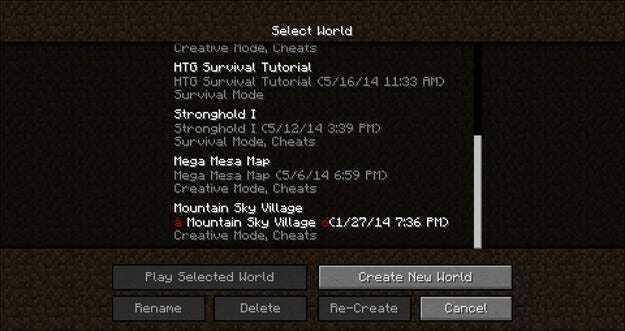 This is the location where all your existing Minecraft worlds are located and, if you place a downloaded save (which is what the map pack is) in the folder, it will appear in the list of games available when you launch Minecraft. Nobody can accuse the map designer of misleading anyone with their map title. Behold, a really awesome mountain village practically touching the sky! Upon further examination, while flying around in Creative Mode we discovered that there was more to the whole “Sky Village” name. The entire map is floating in the sky! This right here folks, is why we love the game and the Minecraft community so much: every game and every new map is packed full of surprises! Now, one thing worth emphasizing is that the above map is very strongly a pure Creative map. The beautiful floating village exists for the sake of existing. It’s a lovely build and tons of fun to explore but there aren’t exactly any big challenges to overcome nor could you really play the game on the map because there’s no world to mine in and no resources to gather (other than tearing apart the lovely village and terrain). If you’re looking for more than a tourist-like exploration of a lovely creation, you’ll need to turn your eyes toward Survival, Adventure, and Game maps. We’ve talked about creating custom maps, we’ve talked about downloading custom maps, but one thing we haven’t talked about yet is how to enjoy those awesome maps with friends. Tomorrow’s lesson is focused on the local multiplayer experience so you can load up those custom maps and explore with your buddies. In addition, we’ll look at how to install a custom player skin so that everyone on your local multiplayer map doesn’t look like Steve the Minecraft protagonist and default skin. For homework tonight we want you to hit up sites like MinecraftMaps.com and go nuts exploring. There are so many awesome maps on the internet you won’t even have time to explore them all. Castles to explore, kingdoms to save, islands to escape from, towering cities to admire, all that and more exists in the vast trove of Minecraft maps available for download.